“It’s not been a bumper crop this year,” says Anthony Busuttil, a retired banker, olive aficionado and partner in Tal-Kancillier olive press just below Mdina’s bastions. The cool, late spring and early summer gales, plus the extreme humidity of autumn took their toll on Malta’s olives. Anthony started out in 2008 with partners Frank Borg (Jr) and Anthony Bonavia; their record year so far was 2012, when 140 tonnes passed through the state-of-the-art press they imported from Tuscany. “We’ll be lucky to see half that this year,” he says. Their website is called ‘Golden Extracts‘ and the thought passes my mind that with less Maltese olive oil around this year, it’ll be like getting your hands on gold dust to find some soon. 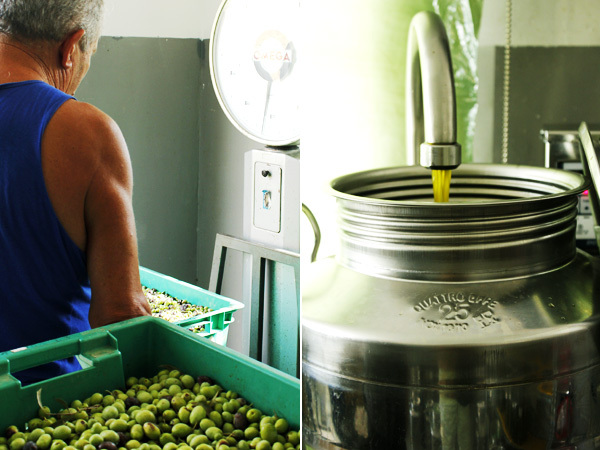 Anthony’s own extra virgin olive oil is farmed from groves right alongside the press in the shadow of Mdina. He sells his limited supply direct to passing customers, ‘over the wall’, as he puts it. “It’s more a love than money business for me,” Anthony says. “We invested a lot in the press, but it’s operational of course for only around eight or so weeks a year during harvest time.” Tal-Kancellier also benefited from some European Union funding. Around a decade ago, it would be rare to pass a sign saying ‘olive press’ as few farmers or growers bothered tending olive groves to any extent. Now, there are around seven presses in action from late September all through October or later, depending on the climate year on year. 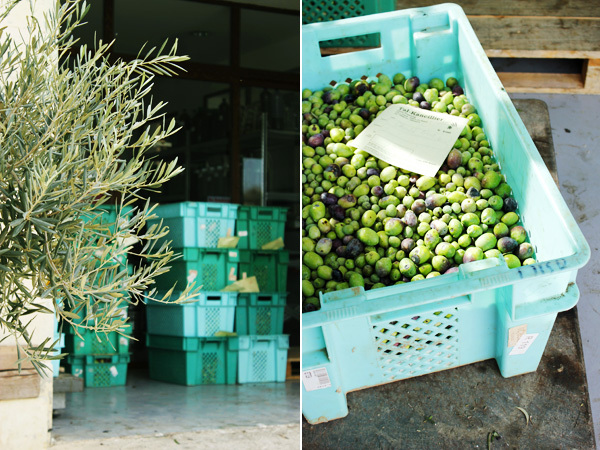 Even people with a few olive trees in their own gardens bring in their crops these days. There was a time when the islands saw a bustling olive oil industry; remains of a large Roman agricultural settlement near Burmarrad (at San Pawl Milqi) provide evidence of extensive olive production, including a couple of large stone-hewn presses. The slopes behind San Pawl Milqi chapel over towards the village of Bidnija face south, so were ideal for olive cultivation. Today, a small clump of ancient trees, carbon dated to around 1,500 years (and therefore offspring of the Roman grove) stand sentinel to Malta’s ancient olive industry. In recent years, another press owner, Sammy Cremona at Wardija, has championed reintroducing this ancient olive, which is not only indigenous to Malta but also has unique chemical properties enabling it to be naturally immune to the ravages of the olive moth. Another unique genus is a ‘white olive’ discovered among ancient trees in central Malta. Anthony explains that local farmers and growers bring their olives in standard crates and get them weighed in. 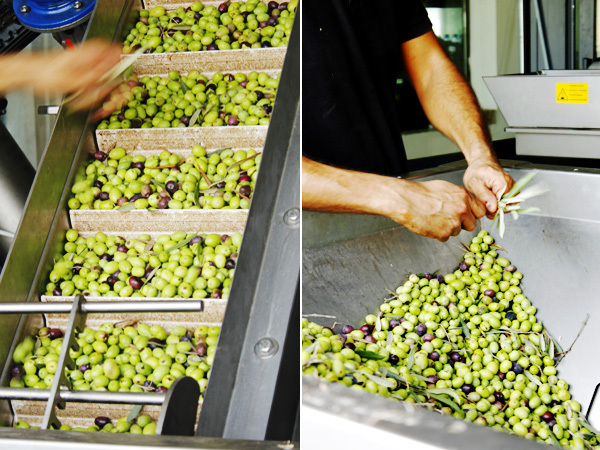 If an individual harvest is sufficient, it will be processed on its own and growers know they are taking home the oil from their own olives. Smaller quantities will be batched and processed in lots of 250kg on Tal-Kancillier’s ‘community pressing’ days. The growers return later to get their allocated percentage of oil for onward sale. 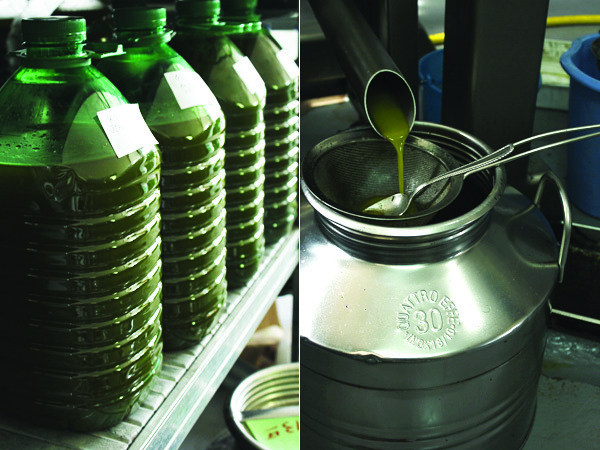 I taste some of the opaque, unctuous green oil fresh oil from the press. It has a deep, earthy aroma and a kick of peppery aftertaste. Perfect to drizzle straight on crusty Maltese bread and eat as is! Anthony explains that ideally it should be eaten within a year of bottling and that there will be some residue at the bottom. This is the real thing and a far cry from many regular shop-bought olive oils, which, in some cases, according to brand and provenance, do not need to be 100% extra virgin oil even if labelled ‘extra virgin’. If you’re a connoisseur of olive oil, get your skates on and head to a local Maltese press before end October and before this year’s limited supply disappears. Tal-Kancillier, Anthony Busuttil, tel: mob. (+356) 7988 8101. Tal-Kancillier oil is also available from the vat at Villa Bologna’s shop.